1993. It was a year so full of promises. Finally, decades of warfare had come to an end, and Eritrea had won a full and complete victory. Freedom at last! 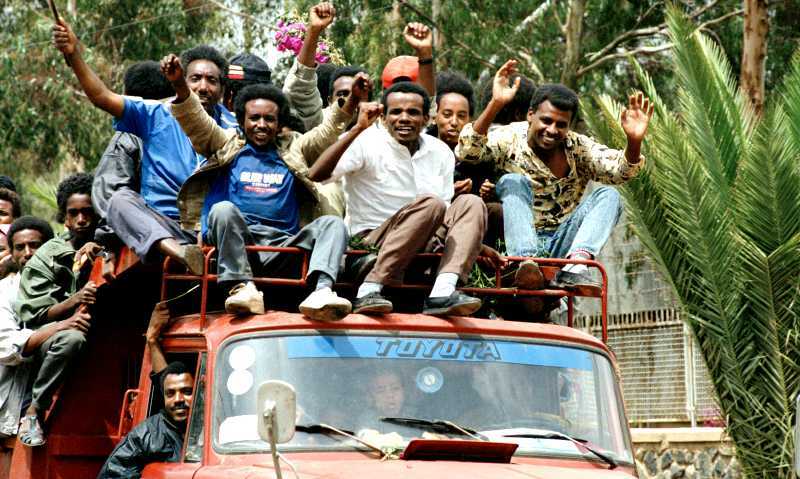 The People's Front for Democracy and Justice (PFDJ), which emerged victorious after the long war against Ethiopia, was celebrated as heroes. Its respected leader, Isaias Afewerki, was of course made interim president of the now independent country. He had, after all, brought the country freedom and his PFDJ was at the time the only legitimate representative of the Eritrean people. 1993. It was time to rebuild the country and make it a prosperous and free nation, an example to follow. Enthusiastic exiled Eritreans from all over the world returned to lend their hand and share their knowledge. Spirits were high. Voluntary work was done to establish basic state structures. Foreign donors were thrilled by this collective action and the goodwill of government and people. Development aid started flooding into the country. 1997. Reconstruction is advancing, donor aid keeps pouring in. And it is time for modern state structures and political reform. Eritrea gets an up-to-date and democratic constitution, which foresees free multi-party elections for the parliament and free elections for the presidency. Meanwhile, the independence heroes of the PFDJ stay in power and are to prepare for democratic transition. 1998. The border conflict with Ethiopia breaks out. International efforts to stop an outright war fail, seemingly because the governments in both Asmara and Addis Ababa needed an external conflict and enemy to remove attention on interior problems and on pressure for democratisation. From now on, Eritrea is fixed on a road towards dictatorship and an increasingly paranoid leader, shying no efforts to secure his grip on power. Now, it has gone 20 years since the happy and optimistic days of independence. 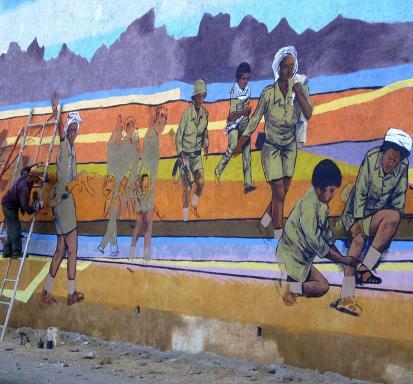 Eritrea continues to be a one-party state under tight control of the PFDJ. The 1997 constitution remains on ice. No elections have been hold. And there are no plans for neither the constitution to be implemented nor multi-party polls to be organised. into the most brutal and closed dictatorship in Africa, comparable only to countries such as Turkmenistan and North Korea on a global scale. Virtually no freedoms exist in the militarised country, where the population is increasingly enslaved by forced labour and imprisoned by fairly well monitored borders. No political opposition to President Afeweki's almighty word is allowed, not even within the ruling PFDJ. The president had the party purged in 2001, throwing hundreds of party functionaries favouring the democratisation process into prison without trial. Attempts to establish opposition parties are met with the utmost brutality. Even innocent relatives of exiled Eritreans joining the opposition abroad are thrown into prison. No free press is allowed. 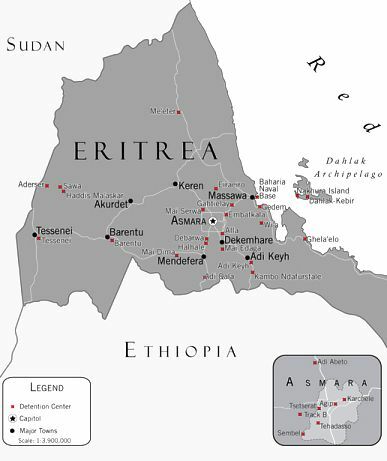 There were some relatively independent newspapers in Eritrea until 2001. But in a large operation, all privately owned media were closed down in September 2001, without any legal basis. Critical journalists were thrown into prison, without trial, it goes without saying. Even state media, only spreading party propaganda, saw its staff purged during the coming years. Prison .. no trial ..
Those getting caught while trying to escape the country, are treated in the same way. Prison. No trial. And very many of those forcedly returned to Eritrea, because their asylum application was turned down, face exactly the same destiny. There are indeed special detention centres for those trying to escape or having been sent back home again. Human rights groups over the last few years have been able to reveal that there is an extensive network of detention facilities in Eritrea. Some are well known, but others are kept in total secrecy. But the extreme opaqueness around detention procedures in the country means the exact number is unknown. What is known is that the use of torture is omnipresent in these facilities. Also, basic living conditions are very hard, even by African prison standards. Many detention centres are located in the desert with extremes of high and low temperatures. All are overcrowded and unclean. Food and drinking water are scarce. Most use underground cells and metal shipping containers to house prisoners. Amnesty International says it believes that at least 10,000 political prisoners have been imprisoned by the Afewerki government. "With no known exception, not a single political prisoner has ever been charged with a crime or tried, had access to a lawyer or been brought before a judge or a judicial officer to assess the legality and necessity of the detention," the human rights group says. So 20 years after the euphoric celebrations of independence, Eritrea itself has turned into a prison of desperation. Eritrea is almost a classic example of what happens when a celebrated unity movement wins an independence war and is let to believe it can do the same miracles in government as in warfare. This story is not defined to only African liberation movements, it has also happened in Europe, Asia and the Middle East. he tale of Eritrea is rougher than in most African countries. The same level of dictatorship never developed in countries with a similar history of independence, such as Angola, Mozambique, Algeria, Guinea Bissau and Namibia. And in Eritrea, a large part of the PFDJ leadership wanted democratic reforms before they were thrown into prison in 2001. The large difference is the person of Isaias Afewerki. President Afewerki is convinced he is surrounded by enemies, both when it comes to persons in Eritrean political landscape and when it comes to other countries. He has ignited armed conflicts with all of Eritrea's neighbour countries. He has purged his own party, the press, even the party press and tolerates no opposing viewpoint. Historically, there are many parallels between the personality of President Afewerki, Uganda's Idi Amin, the Central African Empire's Jean-Bédel Bokassa and Equatorial Guinea's Francisco Macías Nguema. All developed their countries into equally horrible dictatorships in the 1960s and 70s. The historian Samuel Decalo ("Psychoses of Power") has tried to make psychological profiles of these leaders, and found some astonishing similarities between them. Their behaviour was of a very paranoid nature, which caused them to take dramatic action against real or assumed opponents. The three ex-dictators also stood out for their poor education and most likely were unable to read, causing them to suffer from inferiority complexes, which again triggered their paranoia. Now, Mr Afewerki certainly stands out as an intellectual compared to these historic examples, as he studied engineering at the Addis Ababa University before turning to guerrilla warfare in 1966. So his paranoia has been triggered by other factors. 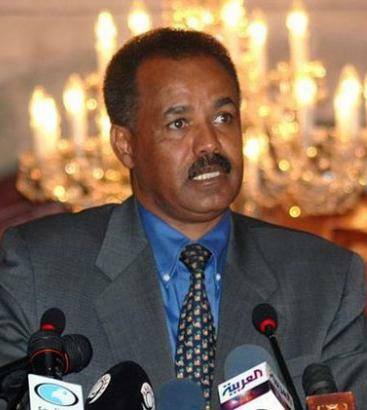 Nevertheless, developments in Eritrea are closely connected to his personality. And he has proven to be both dangerous and unpredictable, causing 20 years of hardship for the Eritrean population due to his paranoid policies. And when looking back on the brave Eritreans in 1993, joining together collectively to shape a brighter future, they certainly deserved a better leader than Mr Afewerki. But real freedom will come one day, after the Afewerki era has ended. An extraordinary probability for me and it was a magnificent information to see this site. Extremely hard to reveal these useful site page or site. I have numerous gadgets and accomplishing appropriate photo of these functioned admirably and vitality keeps on being seeing about this weblog assignment help UK. Frequently my own particular mean to make my own site and in addition my own particular pleasure is becoming because of this page. I we do trust you may well be more compelling.